International Relations in the Interwar Years are dominated by the impact of the First World War, the Peace Settlements and the Great Depression. Attempts to maintain peace and improve living conditions on a global scale saw the introduction of the League of Nations. Peace Settlements saw new countries formed. Economies gradually recovered, until the Wall Street Crash. The rise of the Dictators created challenges. Appeasement was introduced, the League of Nations was tested. The First World War had a huge impact on the participating nations. Losses were huge. Millions had died; More had been displaced; Economies were on their knees. 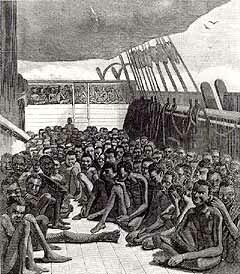 The Peace Treaties attempted to tackle the issue of losses, through the imposition of reparations payments. This was a contentious issue, leading to underpayments, occupation of the Rhineland by the French and hyperinflation being deliberately encouraged in Germany. A more moderate approach was adopted to the defeated nations. The USA broke from it’s self imposed isolationism to finance the Dawes Plan. Europe began to recover. As economies began to recover, International relations improved. Agreements such as the Locarno Pact and the Kellogg-Briand Pact saw promises of a safer future. The Young Plan built on this, enabling longer term stability and, hopefully, continued peaceful relations between the major nations. 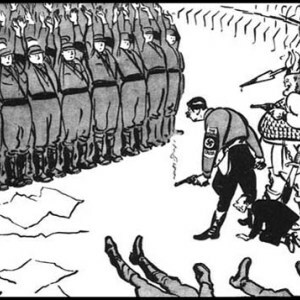 Attempts such as these continued throughout the interwar period, the Munich Agreement being the last. Further narrative follows the contents table. The League of Nations was created to fulfil several roles. First and foremost it was an international body that, through arbitration and a series of sanctions, could prevent the outbreak of war. It also looked at worldwide concerns such as disease and education. Numerous issues around the territorial changes caused by the war were successfully dealt with by the League of Nations. Many people, particularly in the third world, saw improvements due to the League’s humanitarian work. Tensions were present in the 1920’s. Russia had seen the revolutionaries of 1917 go on to win the Russian Civil War. By the early 1920’s it was the Bolsheviks in power in Russia. From 1924, this was a formal Union of Soviet Socialist Republics. That altered the political geography of Eastern and North Eastern Europe. The United States was, as far as possible, taking a position of non involvement in other affairs. It was as isolationist as practical. The relative peace and the growing confidence in the prospects of long term global peace and economic well being were founded on economic growth. That growth was tied to the way that the stock market worked. Investment in companies was done on the basis of medium term gains. Buying and Selling shares looked a good prospect; for ten years there had been sustained growth, it all looked good. However the growth in share prices was far faster than the growth in physical trade. There was a tipping point at which the actual value of the shares in companies around the world, in many sectors, had to be accurately reflected. That tipping point happened in 1929. The Wall Street stock exchange saw a collapse in share prices. The Wall Street Crash saw the value of companies plummet. Many banks and manufacturers had to close. The impact of this globally was huge. America could no longer fund the Young Plan. The stock markets in other countries also saw falling values. Many countries went into a deep economic depression. With many people out of work, political parties on the extremes began to become more popular. German elections saw the more radical parties of the left and right take more seats. Successive Governments failed to tackle the economic issues and collapsed. 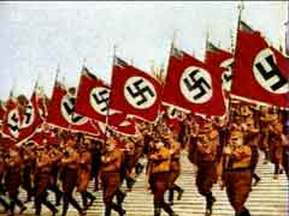 In Germany, Hitler’s Nazi Party took control. Elsewhere dictatorships and absolute monarchies were seemingly more stable, they grew in confidence as other nations struggled. This led to conflict as these nations began to assert themselves. The Abyssinian and Manchurian Crisis both showed the confidence of these powers. They also tested the League of Nations and highlighted the faults in it’s systems. As the 1930’s continued, challenges to peace and the post World War One treaties increased. The Spanish Civil War erupted and saw the involvement of combatants from most major powers. Nazi Germany pressed home it’s territorial claims, with Appeasement allowing the Remilitarisation of the Rhineland; Anschluss; Sudetenland being ceded to Germany; the Invasion of Czechoslovakia. In the Far east, Imperial Japan also continued to take advantage of turmoil in China. The period became one of a struggle to maintain peace. That broke down in September, 1939, with the German invasion of Poland. The Interwar years were also a period in which the arts did flourish though. The Jazz Age had entertained many. Artists had prospered, particularly in the 1920’s. The depths of the Depression also led to some outstanding literary works.